1) Leslie Knope needs to maintain believability. She can say and do dumb things, but ultimately there has to be a reason for her to be in the position she’s in, and we have to be able to get behind her. We’d have to say that they took this note to heart, evolving Amy Poehler’s Knope into a more well-rounded character who is not solely focused on building a park and rekindling her romance with Paul Schneider’s Mark Brendanawicz. She became the true heart of the Pawnee Parks and Recreations Department, not its eccentric, incompetent, myopic Deputy Director, showing affection for her team and often getting it in return. Her relationship with department head Ron Swanson, reminiscent of the Liz Lemon-Jack Donaghy dynamic on 30 Rock, has been particularly successful, allowing both characters to demonstrate new shades. 2. Continue to develop the supporting cast. Parks and Rec certainly heeded this advice, as the excellent ensemble work is probably the most integral factor in the show blossoming during its second season. We’ve already mentioned Ron Swanson, played with a delightful wink by Nick Offerman, who became something a critical darling over the last season, his love of whiskey, bacon and hunting finding many admirers. Aziz Ansari, whose stock outside the show rose along with the series, continues to peel away the layers of Tom Haverford, showing his vulnerabilities and insecurities, while still playing up his douchier sensibilities. Then there’s Chris Pratt, who as malingerer Andy was our MVP of the second season. Couchbound for nearly all of Season 1, legs broken from a fall into the local pit, Andy was more like a vestigial organ, a part of Rashida Jones’ Ann that she no longer needed but couldn’t get rid of. However, freed from the sofa, and employed at Town Hall thanks to Leslie (in a rather contrived move to get Andy closer to the rest of the cast, but a contrived move that has paid handsome dividends), Andy has meshed especially well with the rest of the Pawnee civic employees, while finding new romance with April (even though it’s a bit child molesty. But if we can accept Jeff and Annie on Community, we can give Andy and April the benefit of the doubt. Plus, Andy acknowledges that it’s a little weird). And like the employees at Dunder Mifflin, the lesser of members of the Parks Department, like Jerry and Donna, have stepped up when needed. 3. Perhaps most importantly, figure out what to do with Rashida Jones. Now here is where the show has yet to click, continuing to feature the lovely Jones, but still not in a way that feels organic or engaging. Once the park development subcommittee storyline took a backseat (to the show’s benefit), Ann’s major connection the department was her relationship with Mark. However, when the two broke up and Schneider left the show, she had less need to constantly visit City Hall, so when she was there (so often) it felt forced, and kind of illogical. Andy, at least, had gotten a job there. Ann often had no official business at the office, outside of being Leslie’s best friend (which is also somewhat forced). There were also a few episodes last season when Ann didn’t appear at all, due to Jones’ feature film obligations. But the show didn’t miss a beat in her absence, and you have to ask yourself if she left the show would it be fundamentally different? Would it significantly suffer? At this point, as much as we like Jones, we’d have to say no. If you scrubbed the last season clean of Ann, the show likely would not have been altered tremendously. And if she was excised from future episodes, it might not be to the series’ detriment. She’s not hurting the show, the character is just not adding much right now. 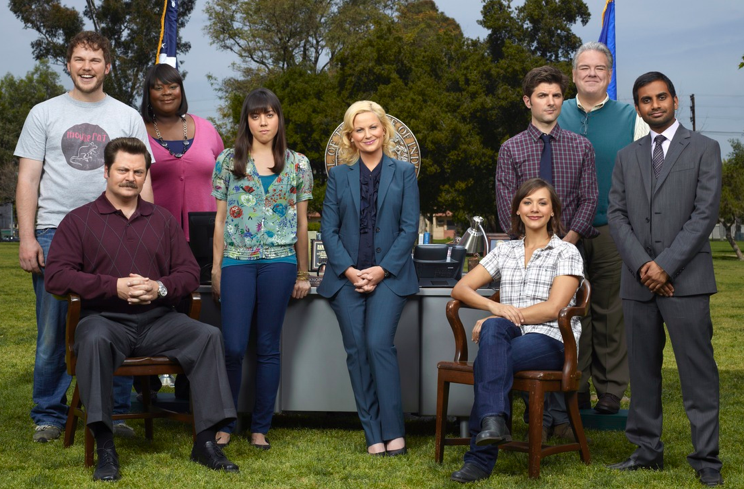 Luckily, Parks and Rec has succeeded despite failing to address our last note. So after a terrific, eye-opening second season, where does the show go from here? Here’s are our three recommendations for Season 3. 1. Stay the course. Things are going well, stick to what has worked while still trying to improve and evolve, continuing to reveal more and more about the characters, from Leslie all the way down to Jean-Ralphio. 2. Figure out what to do with Rashida Jones. See above. As we said, they’ve yet to successfully integrate her character like they have with Andy and Ron. Okay, we’re really not that worried. The show has proven that whether or not it ever finds a proper place for Rashida Jones it should remain on NBC’s Thursday night comedy block for many seasons to come. Welcome home, Parks and Rec.